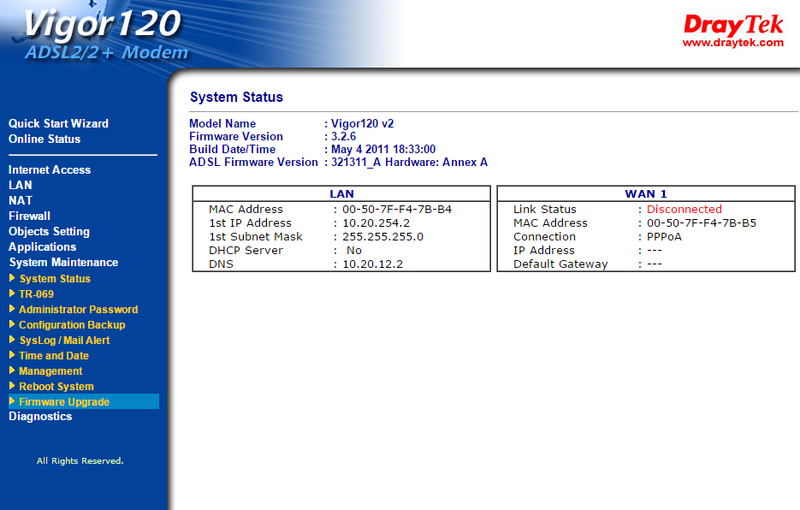 This shows a gallery of steps to upgrade the firmware on a Daytek Vigor 120 v2 ADSL modem from v3.2.6 to v3.2.6.1. 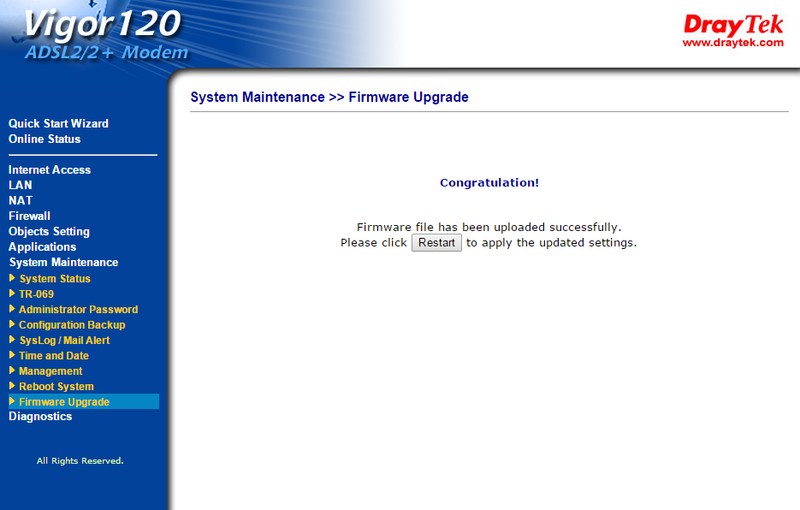 *.all firmware format will remain the former configurations after upgrading firmware. 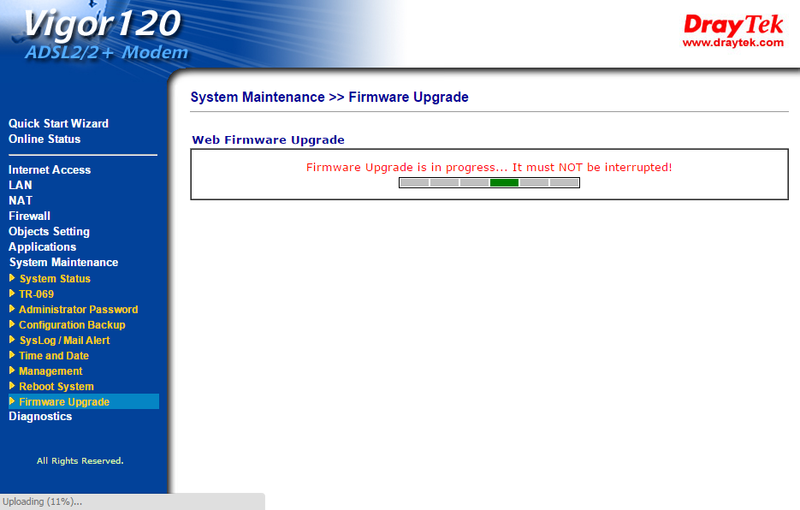 *.rst firmware format will make the configurations be back to default settings after upgrading firmware. 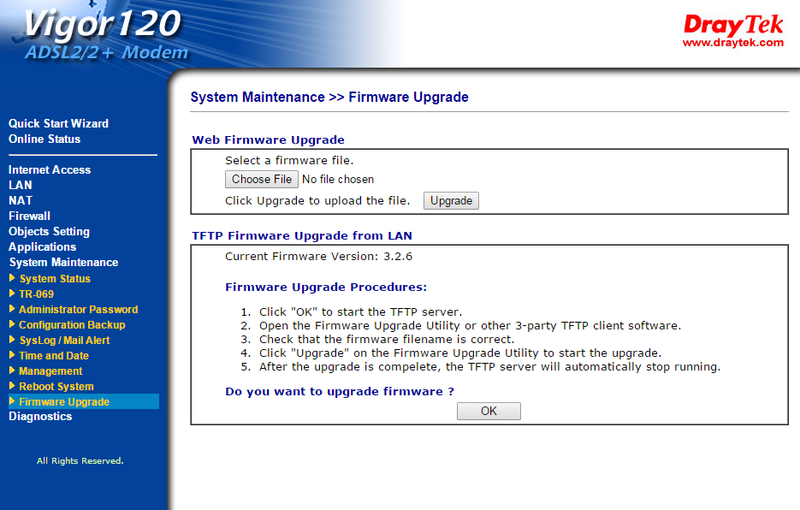 Prior to the installation v3.2.6 firmware is present.